Today was a big day for our company and our 500 Seneca Street project as we held the official dedication and ribbon cutting. Those in attendance include many of those that played a role in the redevelopment of this historic building as well as many elected officials and business partners that helped make this project a success. Following are some of the articles and press coverage of the event. For years, the sprawling seven-story former F.N. 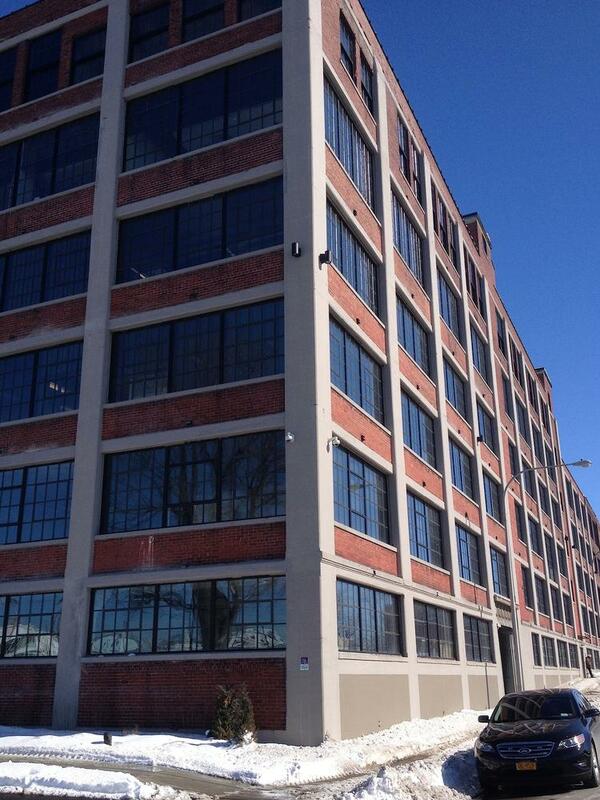 Burt warehouse was a poster child for Buffalo’s economic decline. 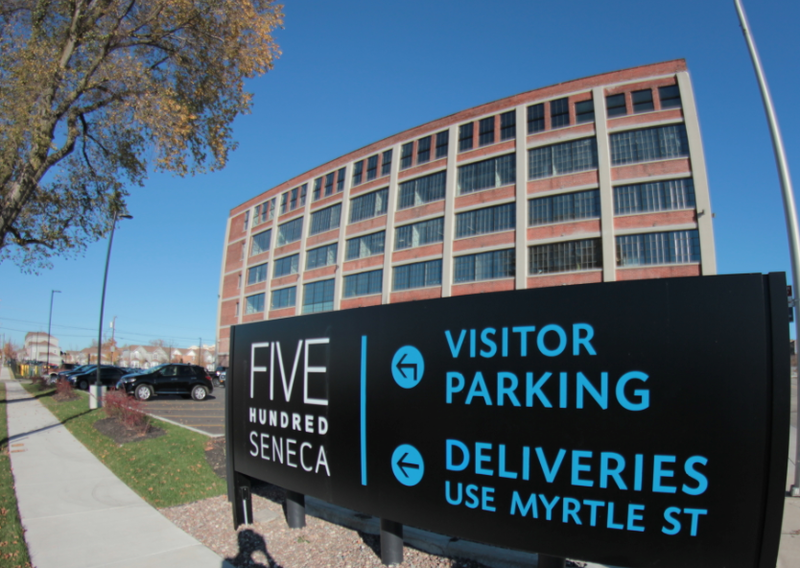 The 325,000-square-foot Seneca Street structure — visible from the I-190 — sat empty and derelict. “A lot of people were familiar with only because they passed it by,” said developer Sam Savarino. But, a $44 million private-sector investment led by Savarino and his development partners the Frontier Development Initiatives, is now the latest project in the city’s economic turnaround. The 500 Seneca Building, which has been open since last summer, had its official coming out party Thursday as leaders including Lt. Gov. Kathy Hochul, state Comptroller Thomas DiNapoli and Rep. Brian Higgins, toured the building. Savarino and his partners proved the critics wrong. 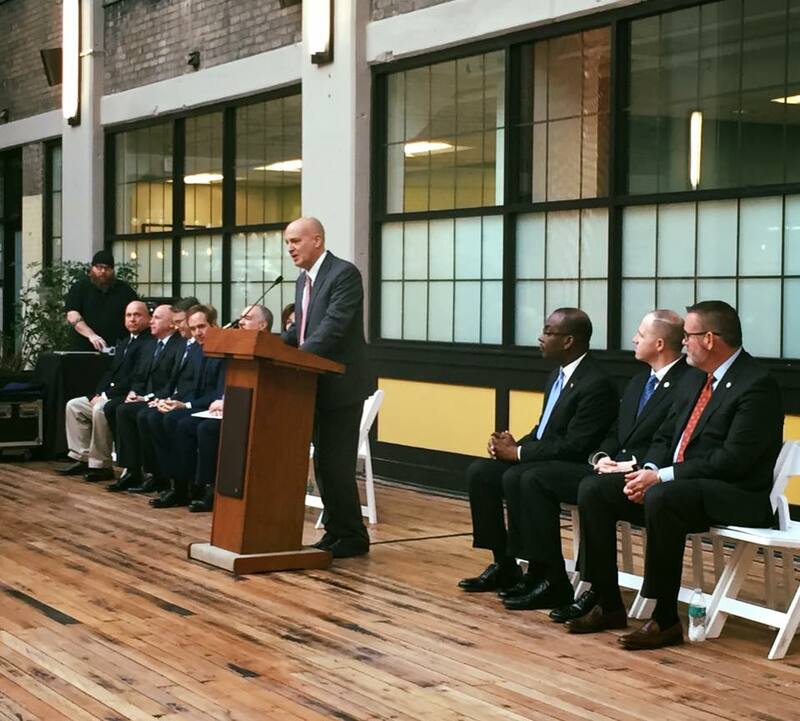 Lieutenant Governor Hochul, Comptroller DiNapoli, Congressman Higgins and Mayor Brown Join Owners, Investors and Lenders to Celebrate the Completion of a Unique and Dynamic Mixed-Use Redevelopment Project in Buffalo, New York.